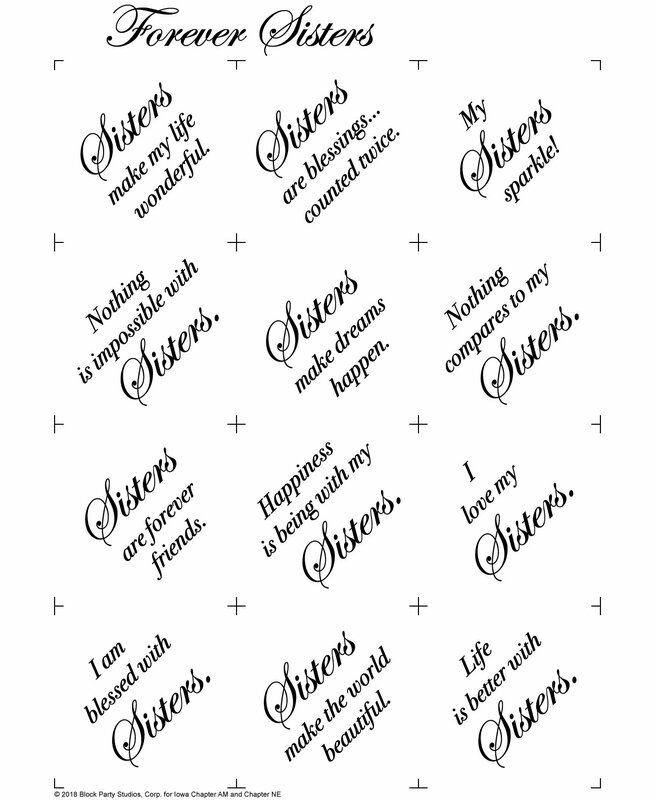 This Forever Sisters Panel was created for the P.E.O. 2019 Convention of International Chapter. A portion on the sale proceeds will be donated to Iowa Chapters AM and NE. The panel includes 12 sisterly sayings each 5" square. Pick your choice of white or natural colored fabric. Pattern is available as a separate product or purchase pattern and panel together.